Sometimes, you need a little extra rush of power. Sometimes you need a lot. Either way, StudioPress has you covered. The Nitrous premium WordPress theme drives your content to your audience, and then kicks it into high gear with its extensive feature-set and powerful admin options. 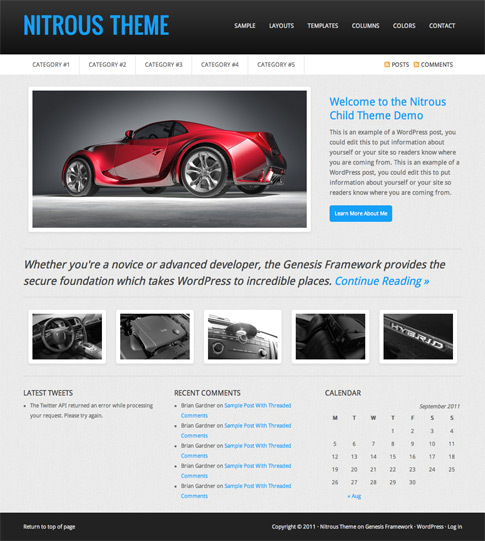 You can check out a live demo of Nitrous premium theme at the end of the post. Come back and check out the showcase as we find more sites from around the web using Nitrous.